Rose garden is a somewhat misleading description. There’s one flower bed with seven rose plants, plus three more roses in other areas. The name is a pointless revisiting of my past, but it fits. It may sound sappy, but roses are one of my favourite flowers and I can’t imagine my garden would ever go long without any. Following are some of the roses in my collection. 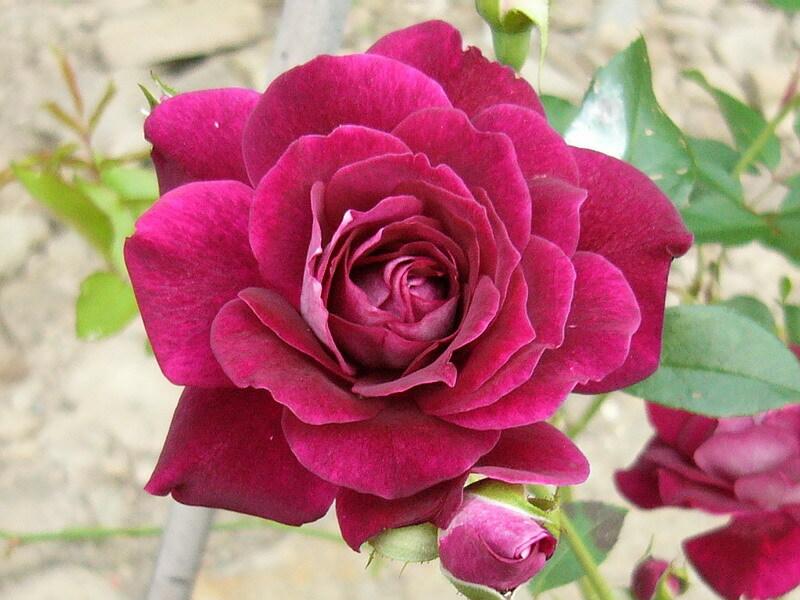 ‘Burgundy Iceberg’ is a floribunda type rose. Apparently it started as a sport (i.e. a spontaneous mutant) of an older cultivar called simply ‘Iceberg’. The newer plant is essentially the same as its white-flowered progenitor with the exception of bloom colour. 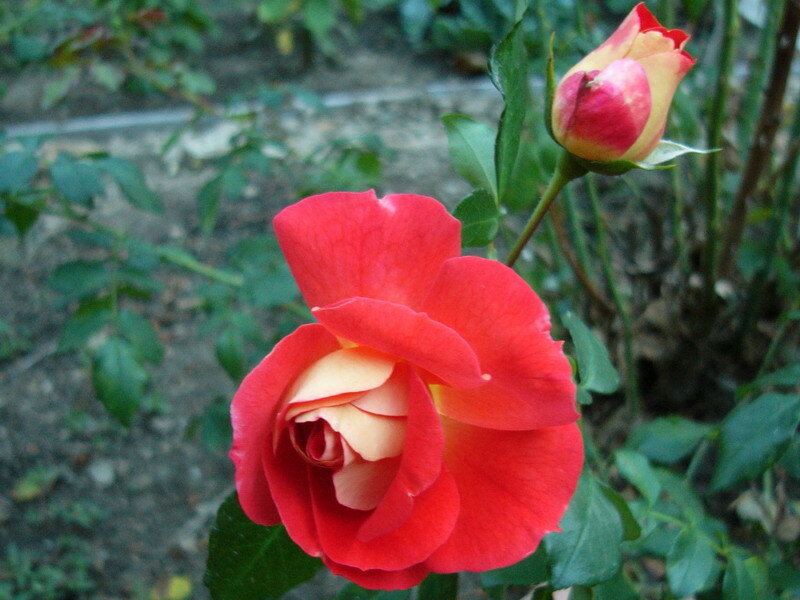 Named for the film star, ‘Ingrid Bergman’ is a hybrid tea rose. This is easily the most popular rose in my garden, but that comes at a price. Hybrid tea roses (in my climate, anyway) are very high maintenance. They seem to be susceptible to pretty much every rose disease and pest around here and they’re only borderline hardy even with winter protection. 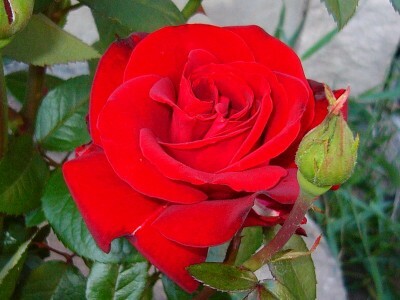 I consider them the divas of the rose world. The older cultivars are slightly less needy, being less inbred, but only slightly. Unfortunately, the hybrid tea rose bloom is pretty much what I consider the quintessential rose blossom, so I fight to maintain the three plants I have. 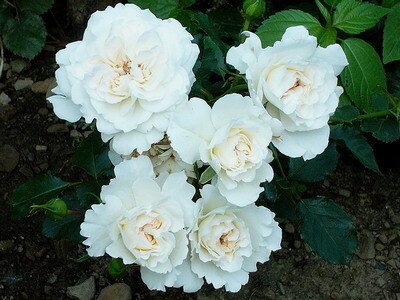 ‘Ingrid Bergman’ is an older cultivar among the hybrid teas (I think), it has a marvelous fragrance, and the bloom is quite beautiful and relatively long-lasting. If I had to give up all my rose plants but one, this is probably the one I’d keep. 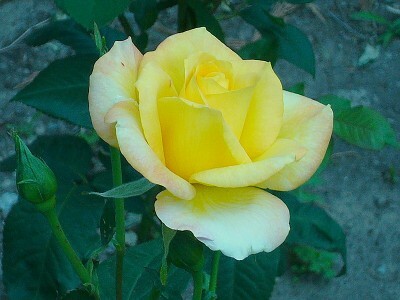 ‘Gold Medal’ is a grandiflora type rose. 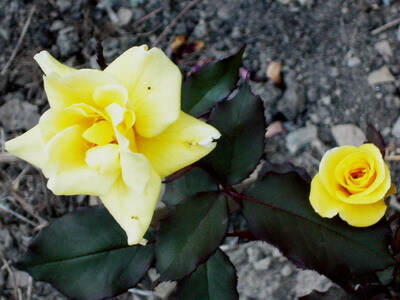 This one is also popular, being a deep yellow with orange blushes on the outer petals. As the flower ages, it fades to white, so sometimes people think it’s a white rose instead of yellow. The fragrance is also strong and when the plant is in full bloom, I can smell it from some distance away even when there’s no wind. ‘Emily Carr’ is a floribunda type rose. 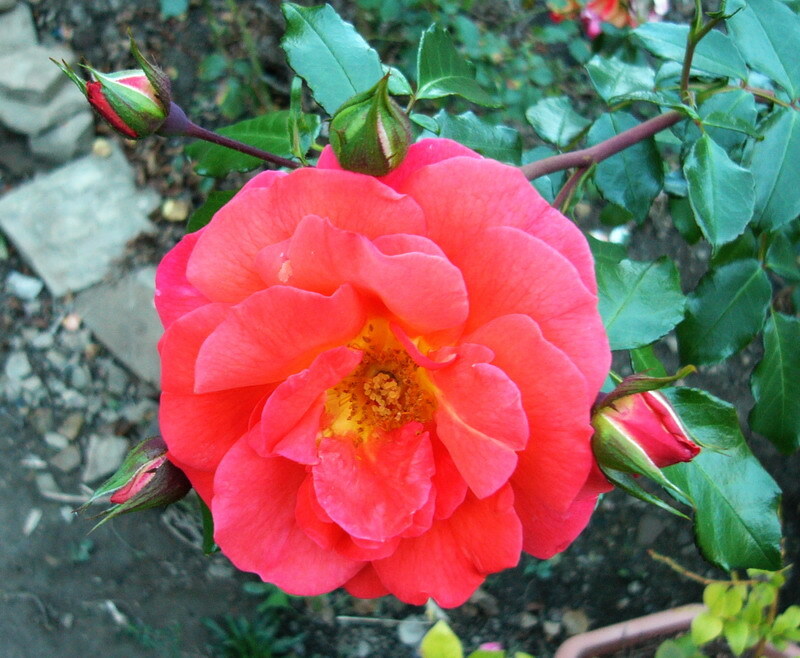 It’s one of a series of roses named for Canadian artists, although there are only four cultivars in the series (series is a nomenclatural term for a particular type of horticultural group, regardless of its size). The Canadian Artist series of roses is bred for Canada, in Canada, and in general they’re quite well suited to the climate and conditions here. 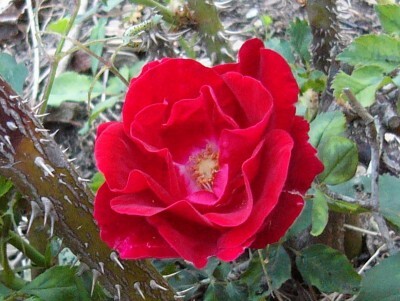 This particular rose is, when in full bloom, covered in red flowers. Aside from pruning to keep in shape and knocking off munching insects, it’s practically maintenance free, being disease resistant, winter hardy (to USDA Zone 3) and drought tolerant. It even deadheads itself eventually. The single disappointment I have from it is that the blooms are scentless. To me, a rose’s fragrance is a very important part of its attractiveness and appeal; generally I don’t see the point of a scentless rose. Still, this rose checks all the other boxes, and I’m pleased to have it in my small collection. 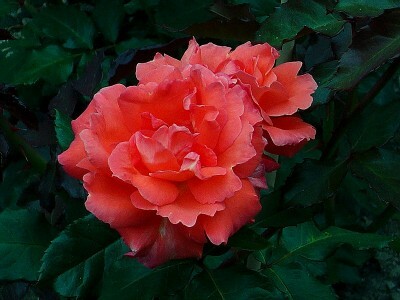 The charming ‘Copper Kettle’ is another floribunda rose. I’m not sure how common it is, because when I did a web search for information about it, I found very few pictures and not much more information. So here’s another picture from my own plant. Actually, sometimes I wonder about the name, because the picture on the label doesn’t look quite like the blooms. But that’s all I have to go by. 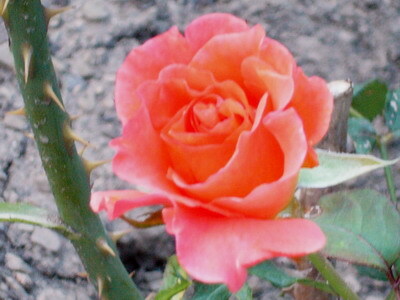 ‘Charles de Gaulle’ is a hybrid tea rose. Way back when, I had a mauve rose and worked incessantly to maintain it. To make a long story short, a family drama-resulting incident robbed me of that rose and a portion of my garden. I never knew what kind of rose it was (it was in the garden when we moved in), but when I eventually worked through my rage (years of cutting, bitter remarks and spiteful comments), I got this one. Like any other hybrid tea rose in this area it requires a fair bit of care and attention, but I still like it. ‘Petticoat Fairy Tale’ is a floribunda, one bred by Kordes. This is currently the only white rose I have; it’s a vigorous grower and bloomer, with a lovely fragrance, and generally easy to look after. The main problem is the Japanese beetles. The little buggers LOVE feeding on these flowers. I hear they like white flowers in general, but I have lots of white flowers in my garden and this is the only one that really gets victimised. Update June 2015: during winter 2014/2015, this rose died. I’ve since replaced it with ‘Honey Perfume’ but as yet I have no picture of it and haven’t had it long enough to know how well it will do here. I’m fond of orange roses for some reason. ‘Sundowner’ is a grandiflora type, but it’s just as fussy as a hybrid tea, or at least that’s how it often seems. It’s pretty, with a light fragrance, but I don’t have much else to say about this one. 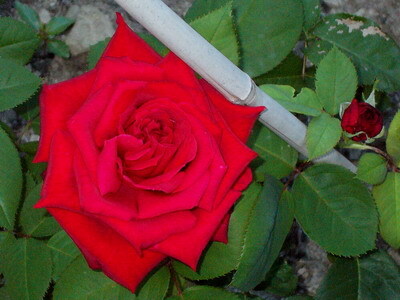 ‘Red Masterpiece’ is a hybrid tea rose. 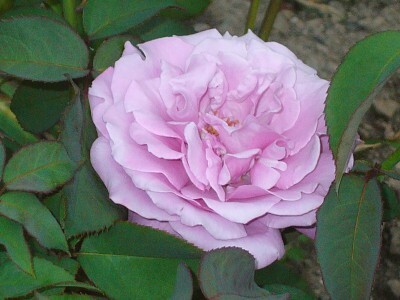 It may look similar to ‘Ingrid Bergman’, but the colour is slightly deeper and the scent is not as intense. As a hybrid tea rose it is pretty demanding and for the first couple years I was convinced it wouldn’t survive. But it has and I’m glad. The bloom is a glorious thing, well worth the trouble. 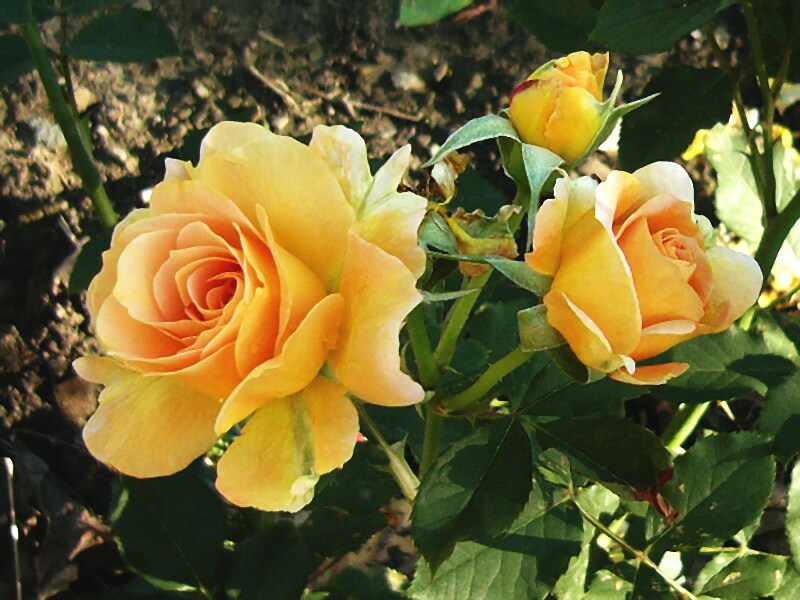 ‘Honey Perfume’ is a yellow floribunda that I got to replace the dead ‘Excitement’. I wish the yellow was more lemon than apricot, but I’m liking it anyway. Like many yellow roses, the blooms fade to white as they age, and it’s really living up to it’s name – the fragrance is quite pleasant and wafts out for a fair way. I don’t usually show more than one picture of a given flower at a time, but the rose I planted last year (2015) is really spectacular. It’s in the Fairy Tale series, of which I already have ‘Petticoat’ – this one is Fairy Tale Brothers Grimm. I’m, showing two pictures because the second one shows how the outside of the petals is a different colour. The scent is just as sweet as ‘Petticoat’, and the petals are a beautiful coral on the upper side, and pale yellow on the lower side. As the blooms age, they gain a pink tinge. It’s really too bad I never got around to taking the pictures earlier in the year when the plant was in full bloom and the sprays were fully open all at once. This spring, 2017, the roses all bloomed at once. This doesn’t happen often – in fact, it only ever happened once before, which was last year. I actually managed to take a picture of the spectacle this year, though. See below. 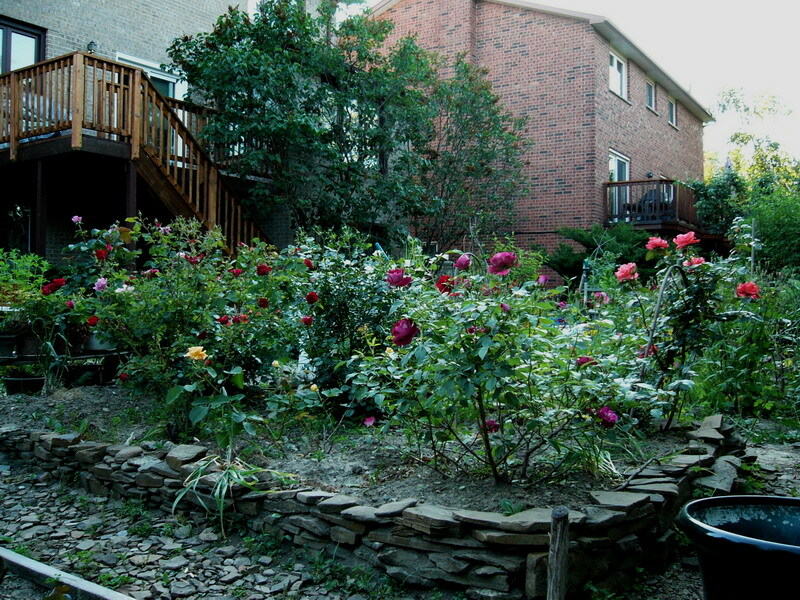 This is just the view of the one “bed of roses” in the backyard, so it doesn’t include the two bushes at the front of the house, or the couple that are currently living in pots. But those are all in bloom too.